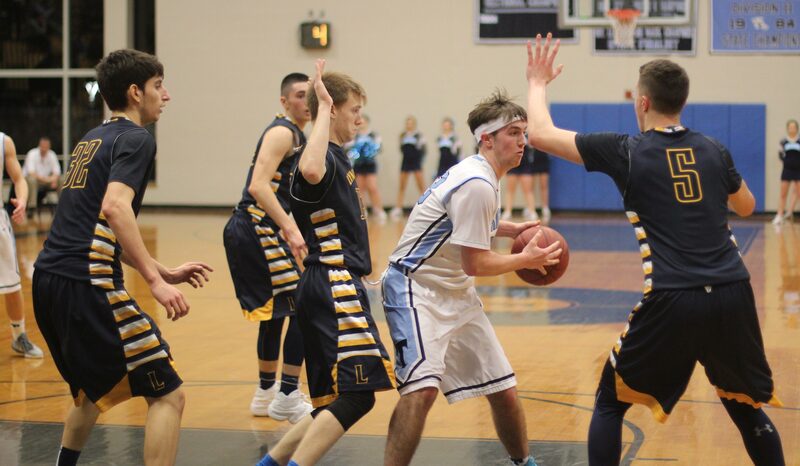 (Byfield MA) Lynnfield defeated Triton, 52-46, on Friday night in Cape Ann League action. The Pioneers (11-1) have now won eight straight. Their lone loss was in December to non-league Melrose. The Vikings (8-4) started slow and ended even slower. In between? Wow! 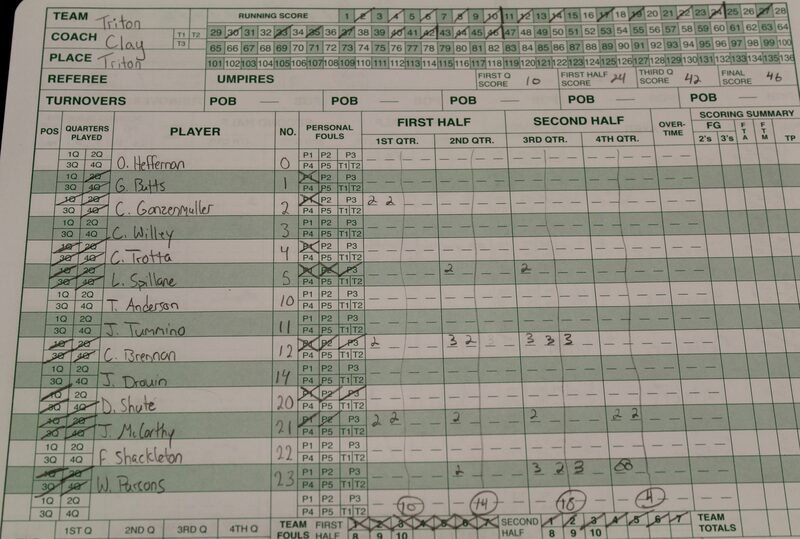 They dropped five 3’s (three by Colin Brennan and two by Will Parsons) on the visitors in third period and turned a 32-24 halftime deficit into a 42-41 lead at the end of the 3rd. 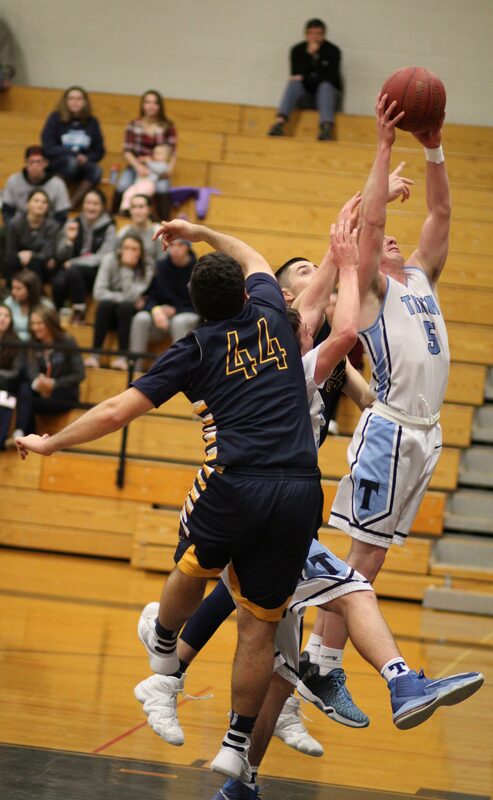 Triton was still close enough to taste it after Jack McCarthy put in a runner in the lane with 3 ½ minutes left in the game. 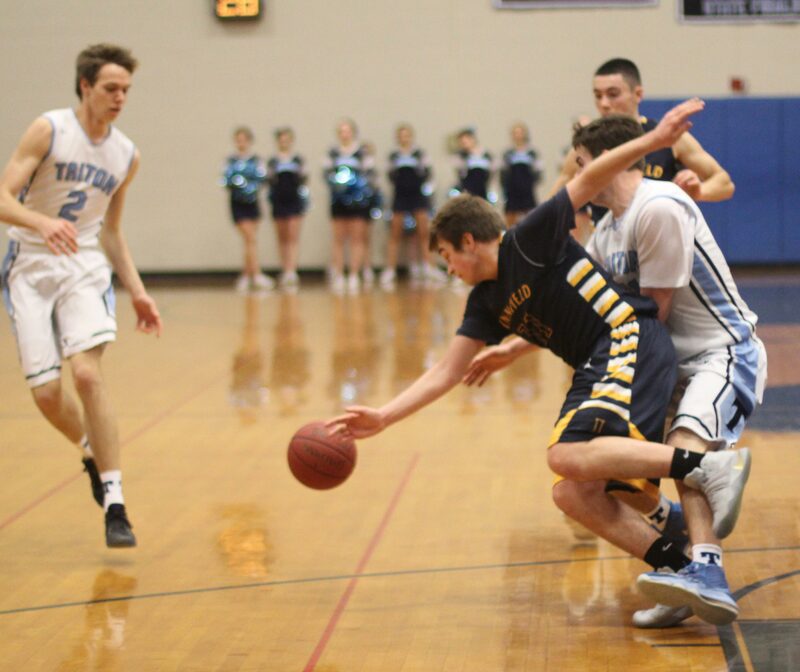 The Vikings, at that juncture, were then only down by one, 45-44. 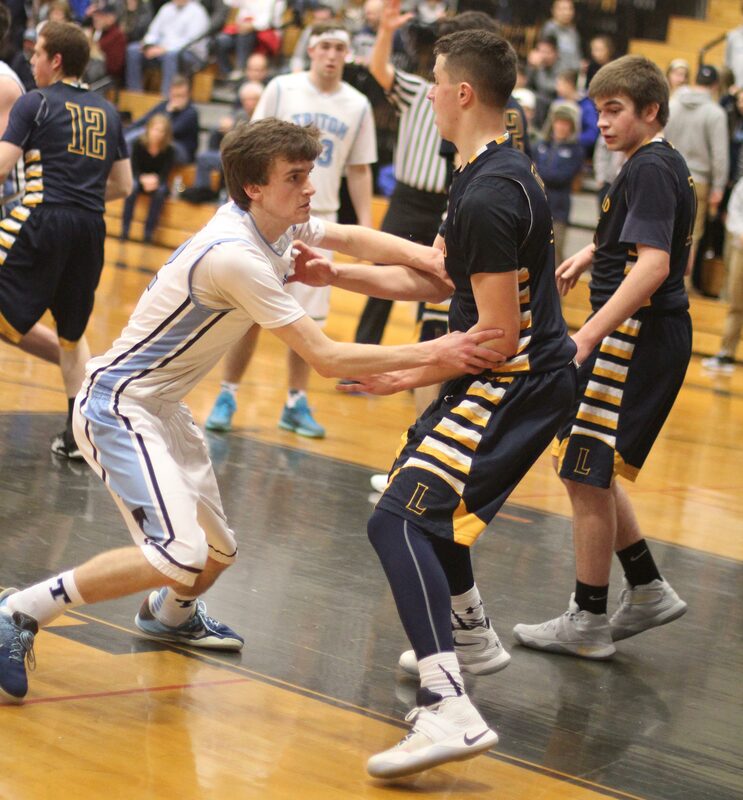 The rest of the way belonged to Lynnfield. 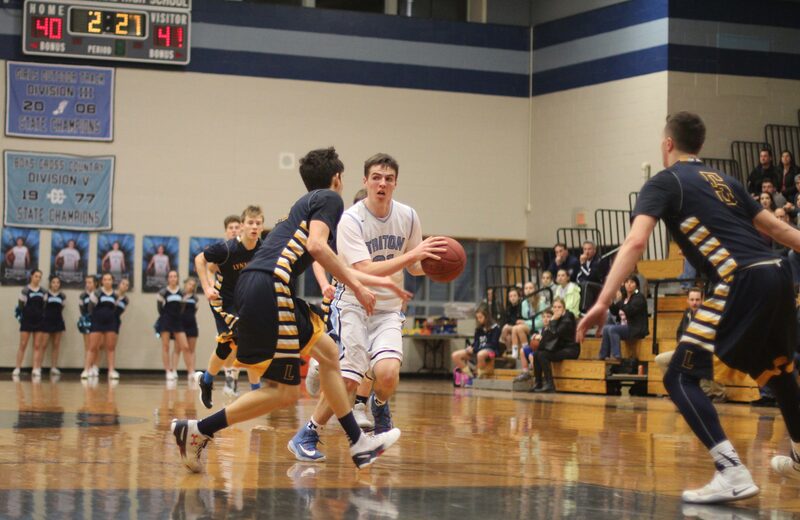 Led by Billy Arseneault (22 points) the Pioneers tallied the next seven points to gain outcome-deciding separation. 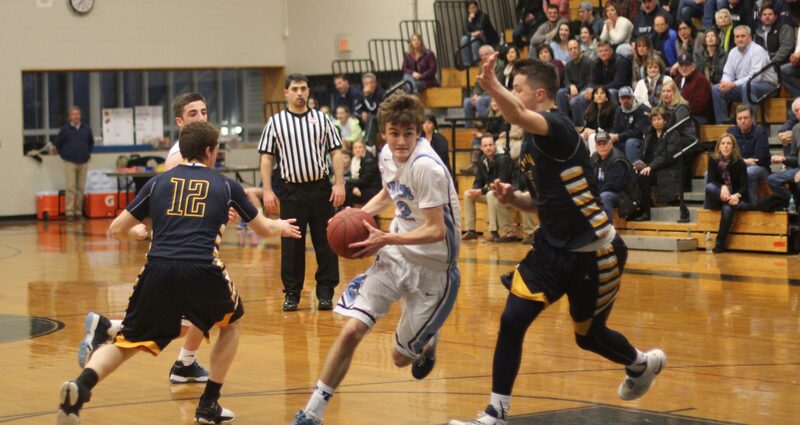 Junior Billy Arseneault had a hand in all seven crucial points. He started with a triple, followed with a drive down the left side of the lane, and then missed a free throw. 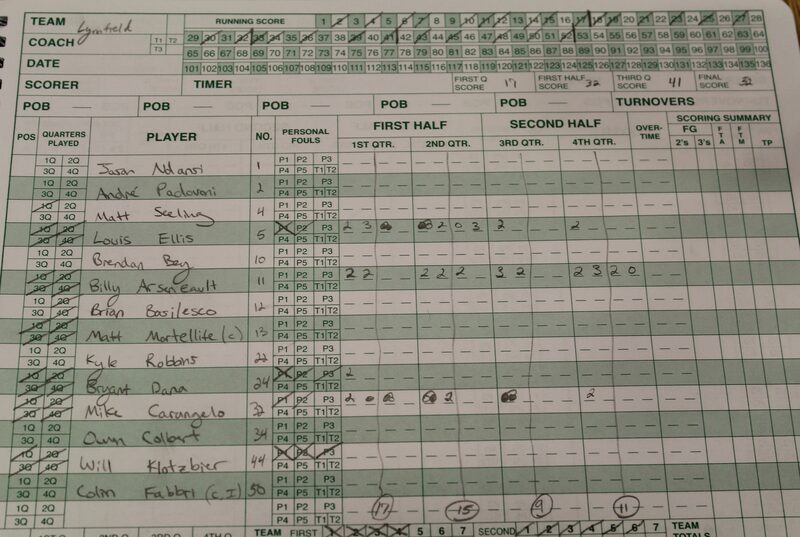 On this night, even the missed free throw turned out good for LHS as Lou Ellis snared the rebound and put in the rebound. 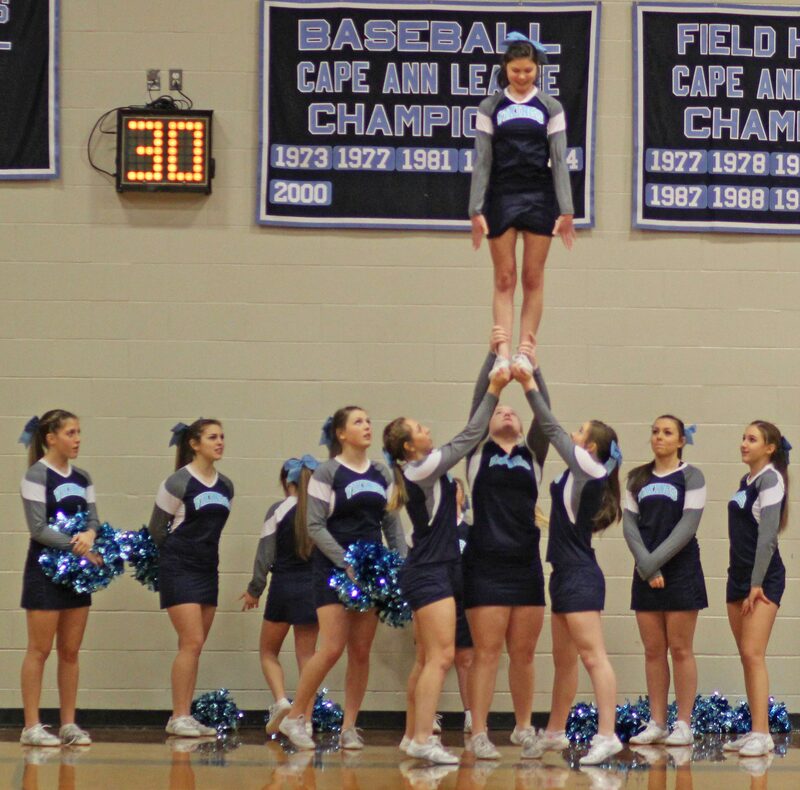 Triton ended up with a 4-point final quarter and I’m guessing you don’t win very often doing that. 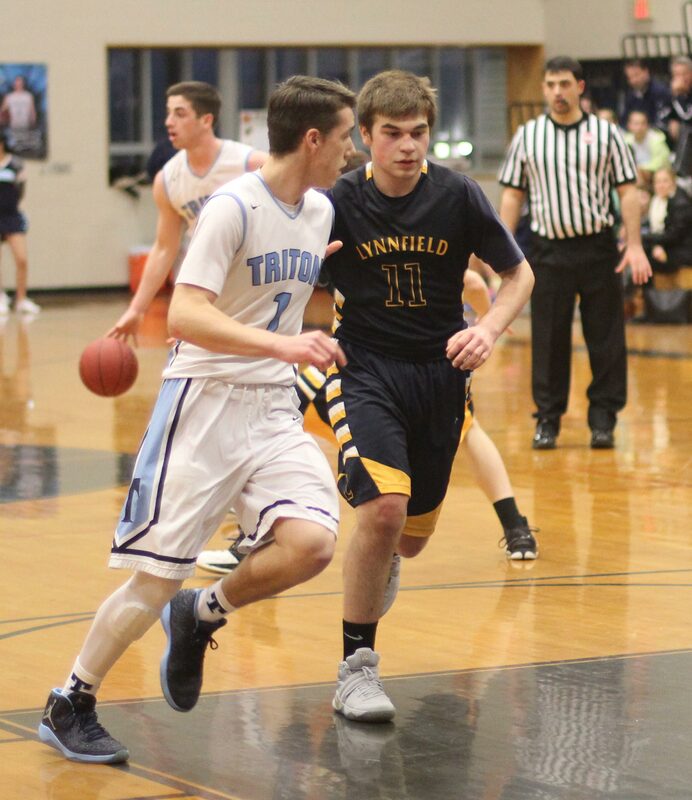 A factor in the Triton drought was the move by Pioneers’ coach Scott McKenzie to put Lou Ellis on Colin Brennan (16 points) in the final quarter. Lou is taller than Colin and he made the clean looks vanish for the Triton junior. Both teams had players willing to take the ball to the basket. 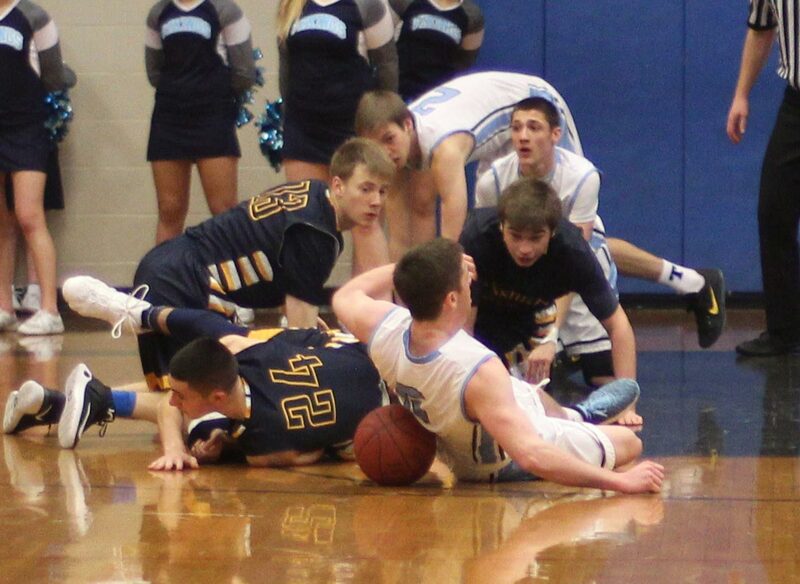 One concern for Triton going into this game was if they could rebound against Lynnfield. It turns out that they could. What they couldn’t do was make shots in the last quarter. Key player in the game? 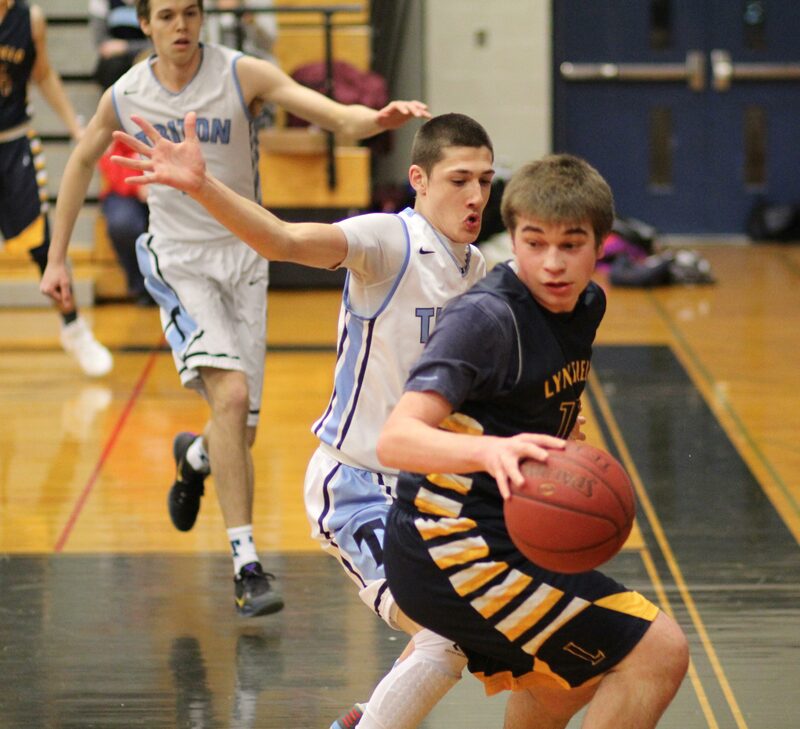 Easily Billy Arseneault: Clever off the dribble and able to make 3’s, jump shots, and layups. In the last minute, he had a steal and there were assists earlier. 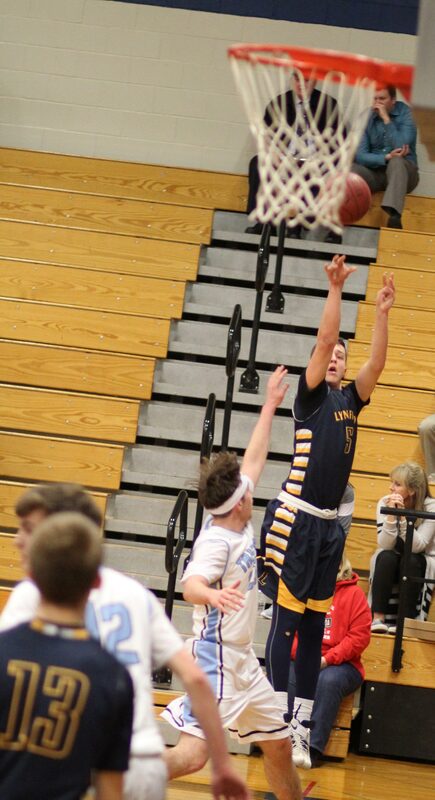 Other than that…………..
Jack McCarthy (12 points) and Will Parsons (10 points) struggled to finish around the basket. 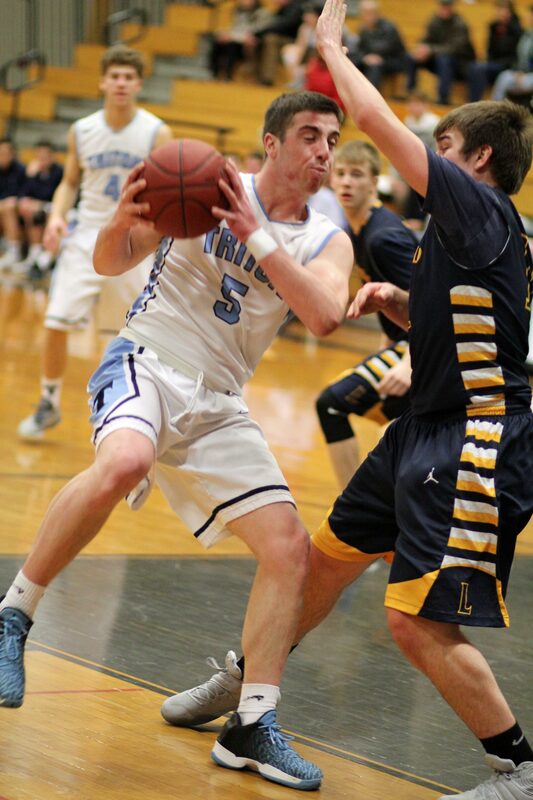 Along with Liam Spillane, the Vikings had chances in close but they weren’t falling on this night. Lou Ellis ended up with seventeen points getting thirteen of them in the first half. His late-game defense was significant. 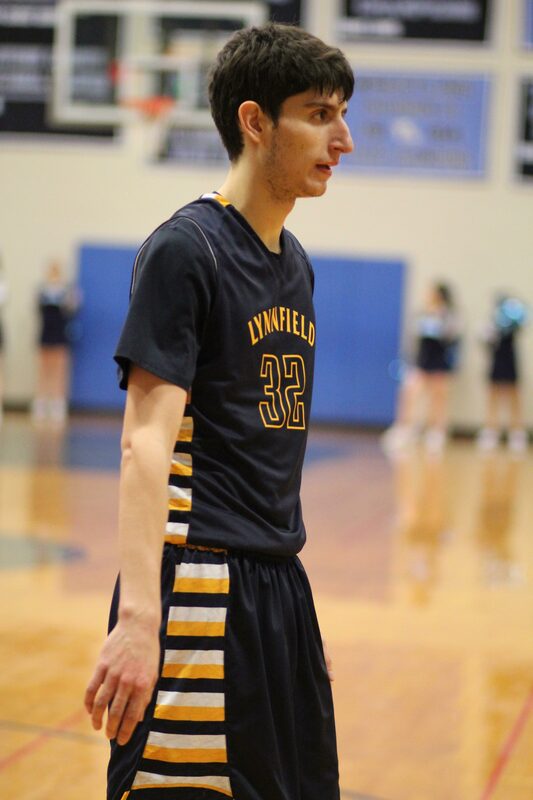 Mike Carangelo (11 points) also reached double figures for the Pioneers. Both teams played man-to-man for the most part with an occasional zone defense tossed in. 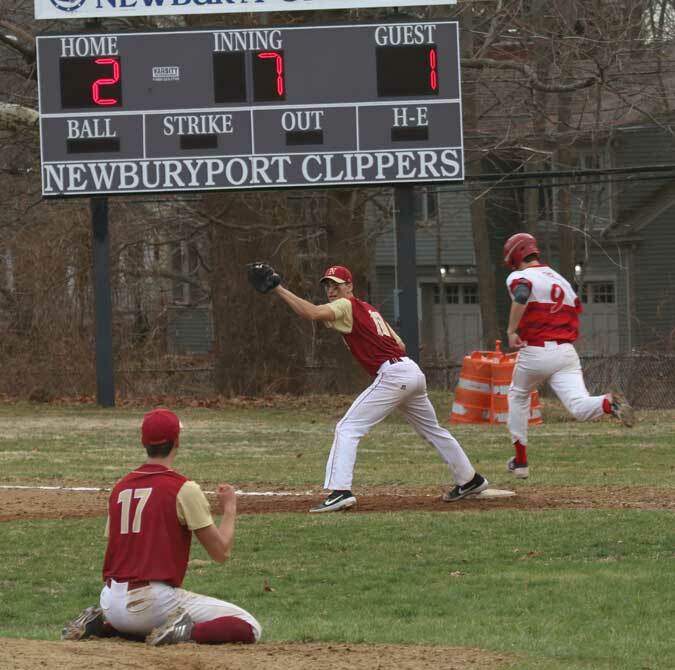 Billy Arseneault steals from Jack McCarthy.